Now the picture in this post of the shelves amazingly arranged to display who I am as a person is more than likely going to be placed on the COACH’s page of teamIBK.com, on the SPONSOR KYLE page or somewhere else but I want you to observe how things are done. Besides creating a “nook” in my office to look to, to see all that I have going for me, it reminds me of some of my brighter days in life, shows me nothing is impossible, literally condones my impulsiveness to never put anything off until later, looks nice and gives me something to say is mine! I’ll get to that, but IN THE BOOK I’m reading, it explains how you can make the best things out of the worst circumstances. I believe I’m already doing that but it mentions how newspapers, journalists and alike the public like writing and reading about astonishing stories. I’ll take that crown and wear it…. Psych! Why should I feel bad about putting myself first? Oh did I mention how good I feel about writing this… Oh wait.. that’s a secret! Let’s just say my irons in the fire, they’re multiplying!! 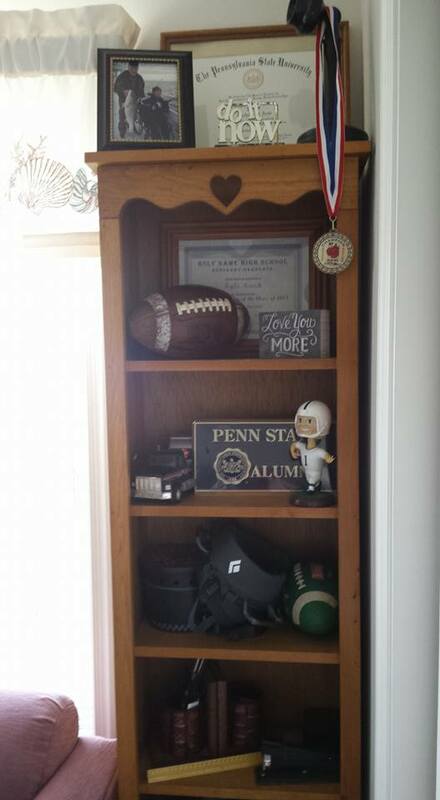 Love your “nook” Kyle, thanks for sharing. I read your post late Thursday night, and just reread it again. More than anything, I love your ATTITUDE. Kyle Keech ROCKS!